R.Across: Do you know the difference between Soul and Spirit? Do you know the difference between Soul and Spirit? I'll say about subject perhaps some people have ever heard about it, but some of them are not totally informed, however everything results in goodness! Have you ever asked for yourself the "Soul" and "Spirit" are same thing? If you said: Yes! You are completely correct! 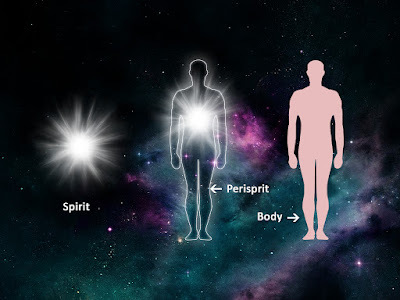 Both are same thing, the Spirit word just use when it is disembodied, in other words, when it is turned off completely from the body, and the Soul when it is connected to the body. We know some humans are composed by tissues, cells, chemical components and energy connected to the Soul. Some people must know about that we are "Light" getting Bio-photons compositions deliberated by human body identified through DNA. Therefore, what is the spirit and where they inhabit? Spirit is the intelligent beginning stored all their knowledge acquired of their existences lived. Spirits are intelligent creatures included in the invisible plan. Some of them inhabit in colonies and invisible worlds according with their knowledge and morality level, getting the freedom to move or remaining in the physic plan. Body: material composition to carry out the earthly activities. However, each spirit corresponds his morality and intellectually capacities focusing his attention and existence to carry out a mission on the Planet. We must always know capacities to grow up and spreading our intern light just doing good ethical and feelings actions in the Planet. I hope I have enlightened something for you. I thank for your attention. I wish Light, Peace and Love. Family trouble, do you know how to deal it?